The name Ajax was coined by Jesse James Garrett in an article published on the Adaptive Path site in 2005. * Ajax and data formats. The technique became popular as soon as the article was published and that has improved greatly the quality of some websites by allowing smooth and innovative applications. DOM. The Document Object Model is a representation of the structure of an HTML or XML document and allows to access elements in the document. CSS. Cascading Style Sheets, define the presentation of a page. XML or other data format. 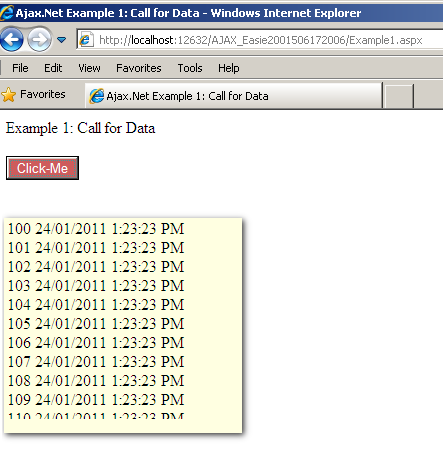 Although the term XML is in the definition of Ajax, the XHR object allows both to read text files or JSON. The object as defined in the standard specification allow to use two different attributes used when the file is loaded in XML format or not, knowing that a file JSON is seen as a text file. There are responseXML and responseTxt. Using a framework avoids to the programmer to rewrite common functions of Web applications, they are all available and tested on major browsers. The Ajax tutorial with sample code. The easiest AJAX samples. 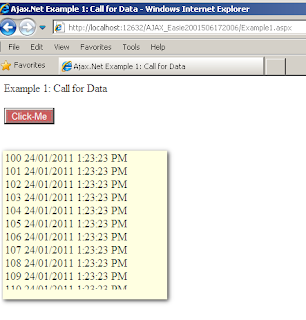 First example shows how to fill actual page with external data without refresh. Second example is the classic no-refresh data acquisition, good for chats and other applications. The samples are very clear and easy to understand. If you like them, PLEASE VOTE!